Pure Health - Meet with best Sacro Occipital Technique Chiropractor in NJ. The Sacral Occipital Technique (SOT) is a system of optimizing the human innate healing systems. The Sacro Occipital Technic is a system of chiropractic and chiropractic Craniopathy that integrates art, science and philosophy of optimizing the human innate healing systems. SOT Chiropractic services utilizes a systemic and systematic approach to removing neurological/structural/functional interferences thereby returning the innate healing capacity to the system. Specialized integrated procedures include chiropractic biomechanics, nutrition, functional neurology, soft tissue reflexes and chiropractic Craniopathy addressing the craniosacral respiratory mechanism and many other cranial dysfunctions. SOT® Methods and SOT® Methods Craniopathy is the philosophy of art and science of restoring the innate healing capacity in humans utilizing a systemic and systematic approach to diagnosis and treatment of the neurological, structural and CSF flow mechanisms from a functional perspective. 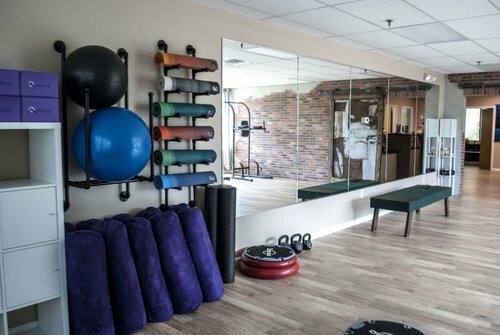 Restoration or maintenance of health is accomplished through specialized integrated procedures including functional chiropractic neurology and biomechanics, nutrition, soft tissue techniques and the diagnosis and treatment of the craniosacral respiratory mechanism (CSRM). The techniques utilized in SOT® Methods promote optimal innate healing mechanics for the spine, pelvis, cranium, organs, extremities, nervous system, brain and muscles. These techniques promote balance, neurological integrity and integrated function of the organ structure and neurological mechanism. The Category System of Patient Analysis refers to the primary system dysfunctions recognized by M.B. De Jarnette as most common all-inclusive on patients seen in the chiropractor's office. The category system of patient analysis offers the practitioner a logical, balanced approach to patient care, leading you to the proper treatment approach. The Sacro Occipital Technic (SOT® Methods) indicators enable you to monitor your effectiveness and tell you when to change your approach. Sacro occipital treatment (SOT) methods practitioners are most often the chiropractors for other chiropractors in their communities. SOT® Methods visceral techniques allow you to understand and treat your patient for a full-body point of view, leaving no stone unturned. Chiropractic Manipulative Reflex Technique (CMRT) is an organized and effective approach to dealing with the viscero-somatic reflexes that are present in somany patients and that are a common cause of chronic subluxation. "I started seeing Drs Chris & Mai about a year ago. Not only are they great people, but they're great chiropractors as well. I started going to them for low back pain and am happy to say that it has been greatly relieved. I also see them for other sports injuries and I always feel good as new after a visit to their office. I would highly recommend them, they're the real deal!" "I've been going to Pure Health since November 2015. Drs. Mai and Chris have helped me tremendously with lower back pain that I suffered with for 10 years. They have also cared for me during my pregnancy and have made it very comfortable. Chris and Mai also see my 6 and 9 year old daughters. They are both very professional and knowledgeable. They are also extremely empathetic with their patients. I would recommend them to anyone!" and am so excited about obtaining relief from my chronic low back pain, sciatica and burning pain in both buttocks. I have been suffering with these issues for 4 1/2 years and was ready to give up until a week ago. I feel so lucky to have them in my life today."